Sometimes, It Takes Someone Else to Inspire the Dream Inside Us. Bestselling author Sean Platt might have never started writing if not for a gift from his wife on his 30th birthday. She bought him a Macbook, and told him to get started doing what she knew he was supposed to do. Cindy gave Sean the unparalleled gift of her unflagging support, fueled by the unflinching belief that he was born to tell stories. Writer Dad is a love letter to Cindy, Sean’s family, and the craft of writing. It chronicles his first painful but necessary years, through his eventual success as a bestselling indie author. 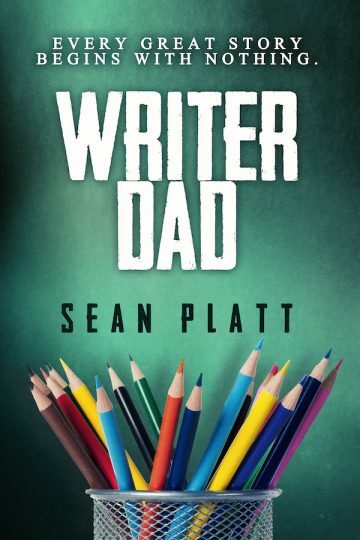 Writer Dad is for fans of Sean's work, those curious about the everyday reality of a growing writer's life, and those seeking inspiration for their own journeys forward.